The bombing of Sarajevo's National Library and the burning of its ancient books. 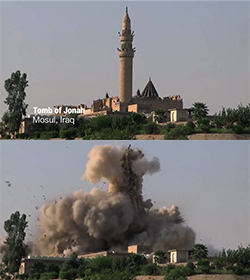 The looting of the Iraqi National Museum and destruction of its priceless historical objects. The beheading of Kahled al-Asaad, long-time lead archaeologist for the UNESCO World Heritage Site of the Syrian city of Palmyra for refusing to give up hidden artifacts. 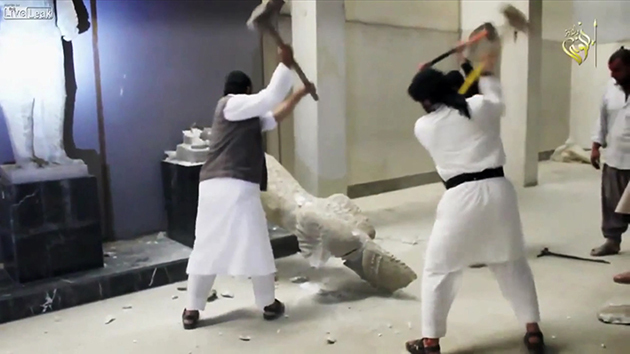 In the "cradle of civilization" and beyond, the last century has seen the rise of cultural destruction: the intentional annihilation of irreplaceable artwork, artifacts, historical sites in desperate attempts to erase collective history and identity. 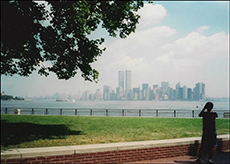 When cultural destruction is wrought, do victims have any legal recourse? Back in 1933, Raphael Lemkin, a young Polish lawyer, proposed that the destruction of cultural heritage legally become an international crime. In 1946, the United Nations included genocide as a war crime, but omitted the cultural dimension, which Lemkin considered essential. Finally, in March 2016, the International Criminal Court (ICC) charged Ahmad al-Faqi al-Mahdi, who is linked to al-Qaeda, for destroying holy and historic sites in Timbuktu, Mali. Lemkin's voice can be heard in the language of today's international law and justice. Distinguished international experts interviewed in THE DESTRUCTION OF MEMORY include Irina Bokova, Director-General of UNESCO; Fatou Bensouda, prosecutor for the International Criminal Court; Gunter Blobel, Nobel Laureate; Bonnie Burnham, President Emerita of the World Monuments Fund; Daniel Libeskind, architect; Dirk Moses, genocide historian; Andras RiedlmayerCorine Wegener, Cultural Heritage Preservation Officer of The Smithsonian Institution, Robert Bevan, architect and author of the book "The Destruction of Memory: Architecture at War" upon which the film is based, and more. Discover a historic maze of stone circles, terraces and engravings that offer archaelogists new insight into South Africa's past.